With last weekend’s extravagant Lights on Main event to ring in the holidays, residents of Mullica Hill can look forward to numerous traditions and winter activities to continue throughout the season. Christmas House Tours, holiday shopping specials in the Historic District and recreational activities to keep the kids moving will offer warmth in Harrison Township through the coldest months of the year. One of the many ways to experience the “home for the holidays” atmosphere in Mullica Hill is through the 44th annual Christmas House Tour on Saturday, Dec. 9, from 2 p.m. to 7 p.m. 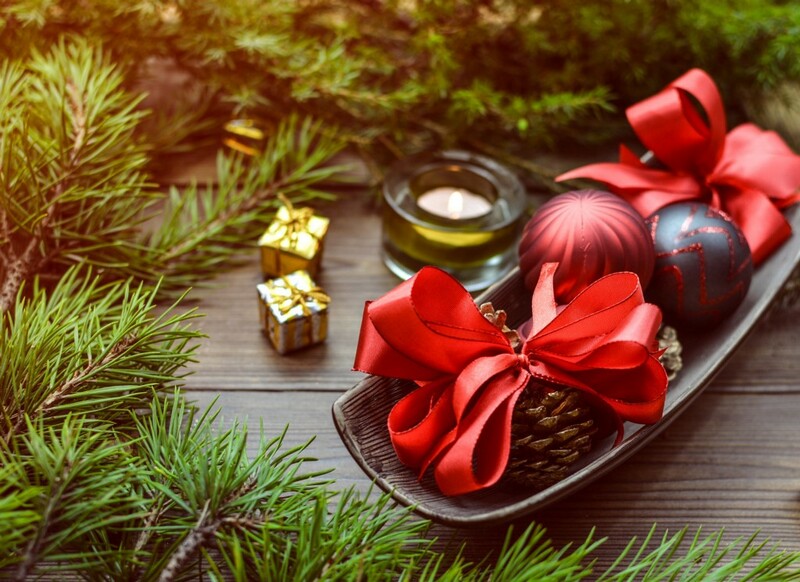 Hosted by the Mullica Hill Merchants Association, participants will have the opportunity to tour local homes, churches and historic buildings decorated with charm and cheer for the Christmas holiday. During the house tours, local businesses along the Main Street Historic District will be offering open house specials from 11 a.m. to 8 p.m. for holiday shopping, while the event will also feature live music, entertainment and a visit with Santa Claus. “Our historic district, with all the trimmings and décor, allows folks to get out and walk Main Street to either shop at the specialty shops, grab a meal at one of our well known restaurants or just stroll down Main Street to view the many Victorian buildings that fill the historic district,” Gravinese said. Tickets for the Christmas House Tour will be sold at participating shops along Main Street for $8 in advance, and $10 on the day of the tours. For more information, visit www.mullicahill.com. Those looking for a winter getaway trip have the opportunity to join the Harrison Township Recreation Commission on two bus trips this winter. On Dec. 13, there will be two buses departing from Ella Harris Park to New York City. For $115, tickets include transportation and an orchestra seating ticket to Radio City Music Hall for the show “Christmas Spectacular,” as well as a visit to the Christmas tree at Rockefeller Center. Those looking to holiday shop and sightsee instead can purchase a ticket for $50 to enjoy a day in the city to explore independently. On Wednesday, Dec. 27, take a trip to the Gaylord National Convention Center in Oxon Hill, Md., for “ICE,” an “indoor winter wonderland” featuring 2 million pounds of hand-carved sculptures, four ice slides and more. Dress warm, because the holiday attraction is kept at a brisk 9 degrees. To end the day-trip, attendees will take a ride through the “Festival of Lights” in Watkins Park, in Upper Marlboro, Md. The cost of transportation and admission to “ICE” is $80 for adults and $68 for children 11 years old or younger. All bus trip reservations are on a first-come, first-served basis with limited seating. To reserve your spot, call the Recreation Office at (856) 223–8777, or stop by the Municipal Building. To learn more, visit www.harrisontwp.us. The Recreation Commission will also continue activities throughout the winter for children to stay active and involved, such as the Tumblin’ Tots program with the Gloucester County Library System Mullica Hill Branch and the Aquatic Program with Kennedy Fitness & Wellness, formerly Future Fitness. “This is a great way for young parents to meet other parents, and many form playdates and long lasting friendships,” Chew said. Tumblin’ Tots will be held on Friday mornings, beginning Jan. 12. Participation in the non-competitive activities cost $85. According to the release, the program is “designed to make fitness fun for children,” featuring stretching, cardio, games, parachute play and more. The Harrison Township 2018 Aquatic Program will begin on Jan. 13, with classes available for beginner and intermediate swimmers of all ages as young as 6 months old. “The instructors are awesome and (it is) a wonderful way to introduce your little ones to swimming or the older children a chance to be on a team without any pressure,” Chew said. Advanced registration is required for the recreation program, with forms and more information available at www.harrisontwp.us.